The Genesis Intrepid is ideal for the aggressive baseline player. Genesis’s Toray Carbon Fibers technology provides improved control and feel combined with impressive acceleration. A thinner beam at the throat allows players to swing confidently without the fear of losing ball control. This racquet is perfect for the aggressive baseline player who likes to play with heavy topspin from both groundstrokes. On serve, we found great feedback with loads of power and spin. At net, Intrepid is easy to maneuver and offers nice touch. The large sweetspot offers a crisp feel with exhilirating precision. The racquet is constructed from a single mold from the grip handle to the head of the racquet. This unique construction is what makes the racquet feel so solid which also means less shock to the player. Genesis’s Toray Carbon Fibers technology provides improved control and feel combined with impressive acceleration. A thinner beam at the throat allows players to swing confidently without the fear of losing ball control. This racquet is perfet for the agressive baseline player who likes to play with heavy topspin from both groundstrokes. On serve, players will be treated with great feedback along with loads of power and spin. At net, Thunder Power XL is easy to maneuver and offers nice touch. The large sweetspot offers a crisp feel with exhiliraitng precision. 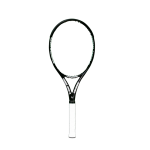 The racquet is constructed from a single mold from the handle to the head of the racquet. This unique construction is what makes the racquet feel so solid. Head Size:	100 sq. in./ 645 sq. cm. With an extra half inch added to its overall length, the Genesis Thunder Power XL amps up the spin and power production when compared to a standard length racquet. Genesis’s Dimensional Carbon technology provides improved control and feel combined with impressive acceleration. A thinner beam at the throat allows players to swing confidently without the fear of losing ball control. This racquet is perfet for the agressive baseline player who likes to play with heavy topspin from both groundstrokes. On serve, players will be treated with great feedback along with loads of power and spin. At net, Thunder Power XL is easy to maneuver and offers nice touch. The large sweetspot offers a crisp feel with exhiliraitng precision. 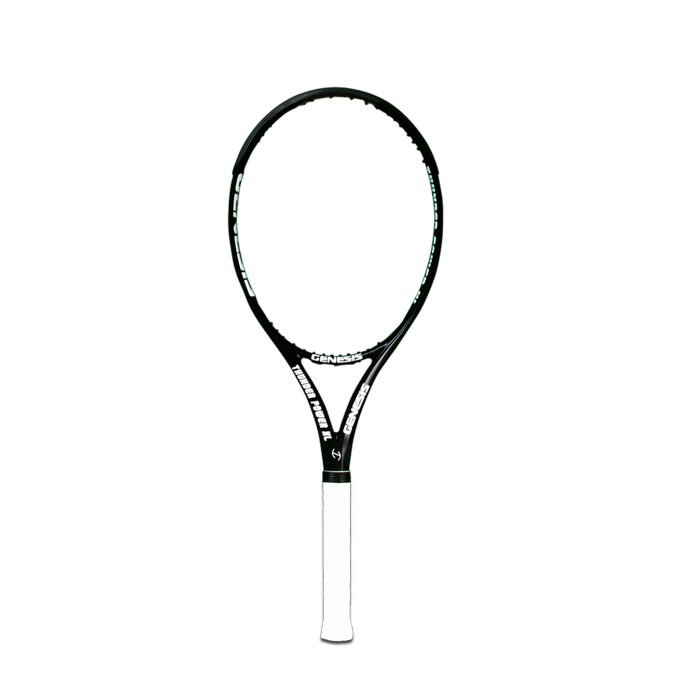 The racquet is constructed from a single mold from the handle to the head of the racquet. This unique construction is what makes the racquet feel so solid.